I dropped Trevor and a friend at the movie theater for the $1 Summer Movie Express at the mall, did the shopping I needed to do, and found myself with an extra hour before the kids would be done. I'm not sure what a normal person would do with an extra hour at the mall, but I'm far from normal. So naturally, I made a scavenger hunt. 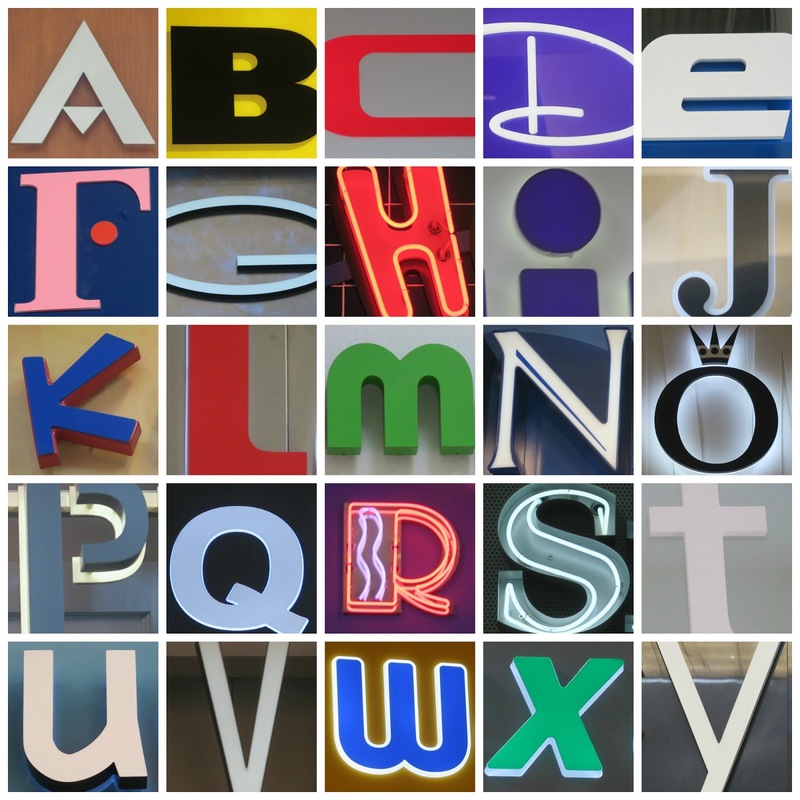 Make your own scavenger hunt by photographing the names of stores at your mall. These should be permanent, non-seasonal, store-front marquee signs if you want your scavenger hunt to be good for more than a few days. A bonus is that the stores don't need to be open to do the hunt if you stick with marquees. Once you have your photos, open PicMonkey (affiliate link). Go to Collage, Layouts, and Square Deal. Click on the far right option and you'll have a 5x5 grid. Now just drop in your photos, using the tool to change the size until you've isolated the correct letter. I chose to do just A-Y because I liked the way it looks, but you can easily add a square if you want to do A-Z. Now print out your scavenger hunt, grab the kids, and head to the mall! Can you name the store for each of the letters below? The photos are from July 2018 at the Solano Mall, but many of them are national brands that you'll find at malls across the US. If you'd like to play along with my scavenger hunt, please do! Leave your answers in the comments. I might just have a prize for the first person with all the correct answers! First Row:"Best Buy", "GNC", "Daniels", "Skechers", Second Row: "Build-a-Bear Workshop"... a few others I think I recognize but it's not coming to me. You did very well. Seventeen correct! How fun! That's an hour well spent!